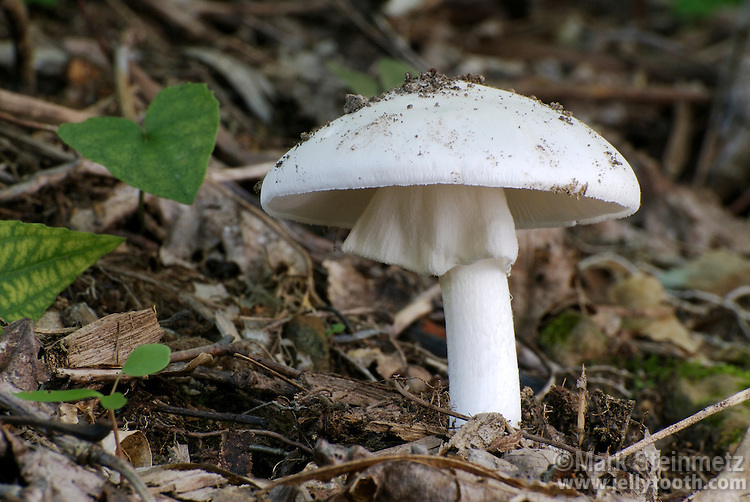 Destroying Angel (Amanita virosa) mushroom. A wide-ranging and strikingly beautiful mushroom of north america, this species is also one of the most deadly poisonous. The toxic members of the Amanita genus are responsible for approximately 90% of all fatal mushroom poisionings, often the case of mistaken identity of edbile Agaricus mushrooms. Death is caused by renal and liver failure. Most amanitas are mycrorrhizal, forming a symbiotic relationship with trees. They are therefore most common in the woods or near trees.